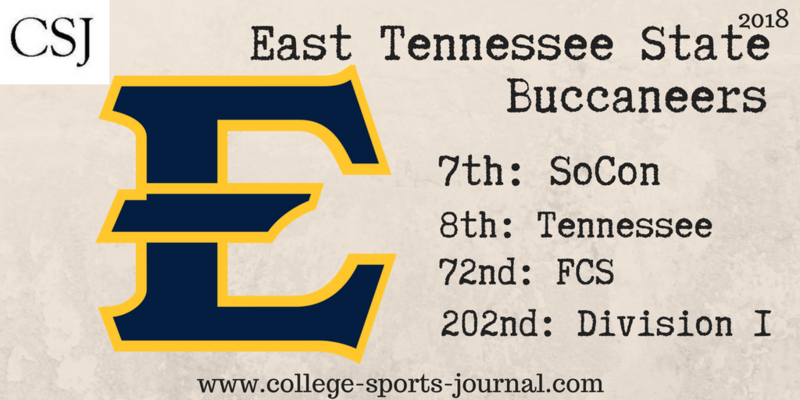 2017 In A Sentence: ETSU’s re-booted program continued to make very small incremental progress in what proved to be Carl Torbush’s final season, with all four of their wins coming at home. Biggest Shoes to Fill: OL Alex Rios was instrumental in ETSU’s rebirth as a football program, transferring in from Pima CC and settling in as the blindside protector. The Bucs will need to find a new face to be that guy in 2018. Key Player: The Bucs young core of players continue to develop, but one guy who will be especially critical is tackling machine LB Dylan Weigel, who led the Bucs with 92 tackles (45 solo), while adding 4.5 tackles for loss, one sack, three quarterback hurries, two fumble recoveries and one forced fumble last season. Finally a senior, he’ll be looking to help the Bucs take yet another step in the right direction this season. Fearless Prediction: The Bucs under a new head coach will most likely still be a very tough out at home. The only problem is their road schedule, featuring Tennessee, The Citadel, Wofford and Mercer, seem too challenging at this point to get them in the SoCon title conversation. An over-.500 season would be a big achievement and a step in the right direction.